Thursday’s Sports Wagering and Impact on Horse Racing symposium, presented by the Blood-Horse and the Breeders’ Cup, discussed the legal and legislative framework of sports wagering, the economics of it and the consumers. Sports wagering legalization and policy are left up to the states: In May this year, the United States Supreme Court ruled the Professional and Amateur Sports Protection Act unconstitutional. PASPA, passed in 1992, ruled sports wagering was unlawful, with Nevada included as an exception. Sports wagering is now left up to the states to regulate, with Delaware, Mississippi, Nevada, New Jersey, Pennsylvania, Rhode Island and West Virginia allowing sports wagering. 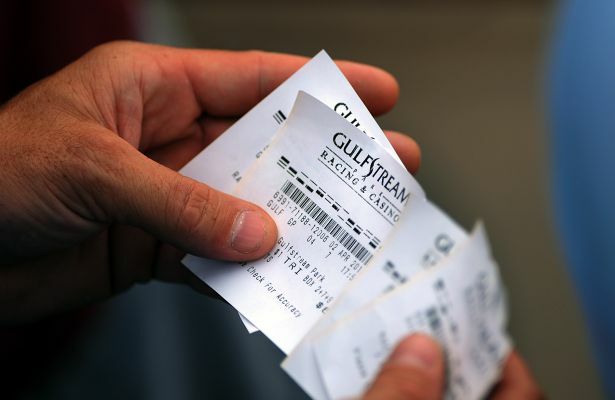 Shannon Arvin, an attorney with Stoll Keenon Ogden, said this leaves states to decide if the lottery or the gaming commission is in charge of sports wagering and what the requirements are to receive a license. Plus, will the tax be taken on the full handle, and what will the wagering operator receive after winning bets are paid? The racetrack is a natural location for sports wagering: With the addition of a sports book by William Hill on June 14, Monmouth Park renovated part of its grandstand to include a mutuel line for sports wagering and a sports bar. Monmouth’s vice president of business operations, Bill Knauf, said the renovations provided an opportunity for Monmouth Park to create a space for sports bettors. Sports bettors remain late into the night for West Coast games and the space is packed for big events, like Monmouth experienced with the World Cup. “We are doing the best that we can to incorporate sports betting into what we already do,” Kanuf said. “…it has been a struggle at Monmouth the past four to five years after the state gave up the racetrack, operating it, and we, at the same time, lost our Atlantic City supplement. So this was a welcome addition to keeping us sable and alive, and hopefully moving forward in innovative ways." On Labor Day weekend, Monmouth’s handle increased 176 percent from last year with the addition of sports wagering. The space for sports bettors also increased food and beverage sales. Monmouth has also been able to experiment with new wagers. On Haskell day, Monmouth offered a parlay that included three stakes races and a baseball game that same night. Knauf also said the sports book does not feel like a threat, and wagering on horse racing is still more popular on live racing days. Crossover is both a challenge and an opportunity for horse racing: Ed Hannah, Executive Vice Chairman of the Stronach Group, said bringing sports wagering to the racetracks provides an opportunity to expose sports bettors to horse racing. Raceracks also face the challenge of retaining bettors with sports wagering now allowed outside Nevada. “The crossover of racing bettors to sports bettors may lead to cannibalization of horse bettors by sports betting operators,” Hannah said. Mobile apps for sports wagering have taken off in Nevada, allowing for convenience. In order to attract sports bettors, Victor Bigio, an online gaming marketer for Sportech, said racetracks and off-track betting facilities should leverage their physical locations, creating environments where players want to come and watch games for hours. Horse racing’s takeout rates cannot compete with sports wagering’s takeout rates: Hannah brought up horse racing’s takeout and compared it to that of sports betting. Hannah said while horse racing’s takeout rate has been seen around 20 percent (the average presented at the Jockey Club Round Table Conference was 17.3 percent), sports wagering’s takeout is around 5 percent. This means more money is returned to winning sports bets than winning horse racing bets. Illegal sports wagering continues to be a problem: For legal sports wagering operators to beat out illegal ones overseas, Sara Slane, Senior Vice President of Public Affairs at the American Gaming Association, said it will be important for states to get the tax policy right. Dan Shapiro, Vice President of Strategy and Business at William Hill U.S., later reiterated the importance of a competitive tax, also mentioning the loyalty illegal bookmakers have from long-time customers as well as their allowance of bets on credit.